1. Huang EJ, Reichardt LF. Neurotrophins: roles in neuronal development and function. Annu Rev Neurosci. 2001; 24: 677-736. 2. Chao MV. Neurotrophins and their receptors: a convergence point for many signalling pathways. Nat Rev Neurosci. 2003; 4: 299-309. 3. Palomo T, Archer T, Kostrzewa RM, et al. Gene-environment interplay in schizopsychotic disorders. Neurotox Res. 2004; 6(1): 1-9. 4. Zakharyan R, Boyajyan A, Arakelyan A, et al. Functional variants of the genes involved in neurodevelopment and susceptibility to schizophrenia in Armenian population. Hum Immunol. 2011; 72(9): 746-748. 5. Boyajyan A, Zakharyan R, Khoyetsyan A Chapter XI. Molecular and genetic indicators of aberrant immunity and apoptosis in schizophrenia In: Schizophrenia research: Recent advances (Editor: T. Sumiyoshi), Nova Science Publishers Inc., USA, 2012, pp. 183-240. 6. Zakharyan R, Atshemyan S, Gevorgyan A, et al. Nerve growth factor and its receptor in schizophrenia. BBA Clinical 2014; 1: 24-29. 7. Zakharyan R, Boyajyan A. Brain-derived neurotrophic factor blood levels are decreased in schizophrenia patients and associate with rs6265 genotypes. Clin Biochem. 2014; 47(12): 1052-1055. 8. Wiesmann C, de Vos AM. Nerve growth factor: structure and function. Cell. Mol. Life Sci. 2001; 58: 748-759. 9. Van Schijndel JE, Van Zweeden M, Van Loo KM, et al. Dual association of a TRKA polymorphism with schizophrenia. Psychiatr Genet. 2011; 21(3): 125-131. 10. The international statistical classification of diseases and related health problems. 1992, World Health Organization, Geneva,1243-10. 11. Miller SА, Dykes DD, Polesky HF. A simple salting out procedure for extracting DNA from human nucleated cells. Nucleic Acids Res. 1988; 16: 1215. 12. Bunce M, O’Neill CM, Barnardo MC, et al. Phototyping: comprehensive DNA typing for HLA-A, B, C, DRB3, DRB4, DRB5&DQB1 by PCR with 144 primer mixes utilizing sequence-specific primers (PCR-SSP). Tissue Antigens. 1995; 46: 355-367. 13. Indo Y. Molecular basis of congenital insensitivity to pain with anhidrosis (CIPA): mutations and polymorphisms in TRKA (NTRK1) gene encoding the receptor tyrosine kinase for nerve growth factor. Hum Mutat. 2001; 18(6): 462-471. 14. Yeo GS, Connie Hung CC, Rochford J, et al. A de novo mutation affecting human TrkB associated with severe obesity and developmental delay. Nat Neurosci. 2004; 7(11): 1187-1189. 15. Hariri AR, Goldberg TE, Mattay VS, et al. Brain-derived neurotrophic factor val66met polymorphism affects human memory-related hippocampal activity and predicts memory performance. J Neurosci. 2003; 23(17): 6690-6694. 16. Vega JA, Garcia-Suarez O, Hannestad J, et al. Neurotrophins and the immune system. J Anat. 2003; 203(1): 1-19. 17. Fatemil SH, Folsom TD. The neurodevelopmental hypothesis of schizophrenia, revisited. Schizophr Bull. 2009; 35: 528-548. 18. Zakharyan R, Khoyetsyan A, Arakelyan A, et al. Association of C1QB gene polymorphism with schizophrenia in Armenian population. BMC Med Genet. 2011; 12(1): 126. 19. 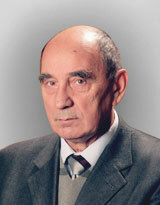 Zakharyan R, Boyajyan A. Inflammatory cytokine network in schizophrenia. World J Biol Psychiatry. 2014; 15(3): 174-187. 20. Mardy S, Miura Y, Endo F, et al. Congenital insensitivity to pain with anhidrosis (CIPA): effect of TRKA (NTRK1) missense mutations on autophosphorylation of the receptor tyrosine kinase for nerve growth factor. Hum Mol Genet. 2001; 10: 179-188. Захарян Р.В., Телумян Е.Г., Геворкян А.П., Аракелян А.А. Отсутствие ассоциации полиморфизма rs6339 гена нейротрофинового рецептора тирозинкиназы типа 1 с шизофренией в армянской популяции. Медицинская генетика. 2017;16(4):40-43.